Bradwell Butchery01493 661473work ButcherBradwell Butchery in the village of Bradwell, near Great Yarmouth is an award winning traditional family butchers selling high quality foods. With an impressive variety of around 45 sausages available and a delicatessen and bakery in-store, you'll be spoilt for choice. 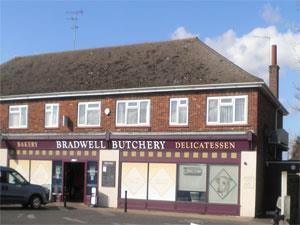 All Bradwell Butchery's fresh meat is sourced from East Anglia and more exotic meat choices are also available. Bradwell Butchery in the village of Bradwell, near Great Yarmouth is an award winning traditional family butchers selling high quality foods. With an impressive variety of around 45 sausages available and a delicatessen and bakery in-store, you'll be spoilt for choice. Whether it's a barbecue, Sunday roast, breakfast fry-up or a fancy dinner party, Bradwell Butchery won't disappoint.